Preheat oven to 350°F. Line an 8-inch square baking pan with parchment paper. In a large bowl, combine butter, oil and sugar and whisk until well combined. Add eggs and vanilla bean paste, whisking vigorously until mixture is smooth and light in color. Sift in flour and cocoa (sifting is important), gently folding just until everything is combined, being careful not to overmix. Transfer brownie mixture into prepared pan, spreading the top with an offset spatula or knife to make the mixture smooth and even. Bake for 25 minutes until center is set (these are designed to be “fudgy” brownies, so a toothpick will not come out clean). 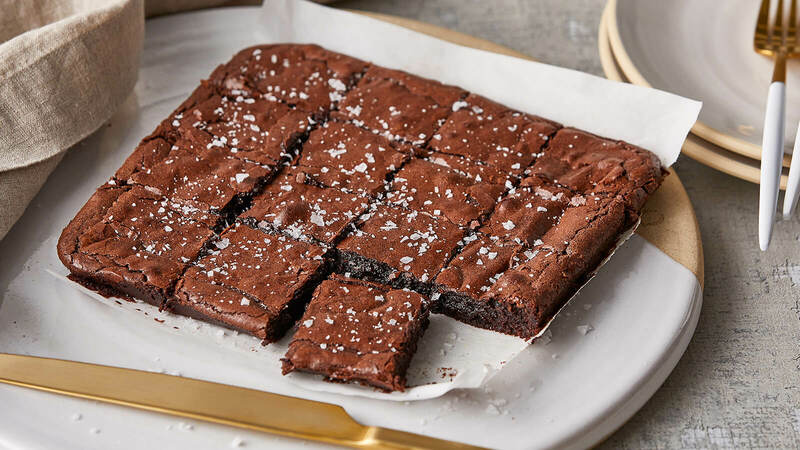 Place pan on a cooling rack and sprinkle brownies with Maldon sea salt before cutting and serving.